Knowing the right microphone for the job, from the huge variety of types and models available, is an essential skill for anyone who records regularly, and can make the difference between sub-standard and spectacular results. Follow our essential guidelines to ensure you always make the optimum choice. If microphone technology is so advanced, surely the perfect mic would pick up sounds in exactly the same way as the human ear and all properly designed microphones should sound pretty much the same? It's a fair question. However, in reality, the human hearing mechanism involves a lot of psychoacoustic filtering and processing: so, for example, when we hear a change in the frequency spectrum of a sound because of a change in its position relative to our ears, we only pick up on the change in position, not the change in tonality. Another consideration is that if you take a direct and a delayed version of a sound and mix it to mono, you'll hear comb filtering caused by the delay giving the sound a phasey or flangey quality. By contrast, the human hearing system uses the small delay between signals arriving at the two ears to determine direction. It also takes advantage of the aforementioned spectral changes due to angle and the masking effect of the head itself, which has a profound effect on how the left ear hears sound approaching from the right, and vice versa. 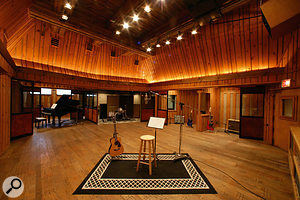 If you're lucky enough to have a great-sounding room at your disposal (this is the live room in New York's Power Station's Studio C), you can make the most of its character by capturing it, along with the source signal, via a mic that has an accurate off-axis response.What this amounts to is that the human hearing system is able to ignore or block out (to a certain extent) factors like room acoustics or frequency-spectrum skewing and inter-ear delays due to direction, whereas a microphone simply turns everything it hears into an electrical signal. In this respect, the microphone behaves very differently to the human ear: the outer ear imposes some fairly radical angle-related spectral filtering to enable us to judge direction, whereas a microphone has a much more simplistic 'polar pattern' that comes about as a function of the physics of capsule design. Omnidirectional mics hear pretty evenly in all directions, but with so-called cardioid (unidirectional) models the acceptable angle of accurate reproduction tends to be narrower for high frequencies than it is for low frequencies. This might seem irrelevant if what you're recording is always directly in front of the microphone (such as studio vocals), but in fact that's only true if you are recording in an environment with no reflective surfaces, otherwise sound bounces back into the microphone at every possible angle, and this reflected sound is coloured by the off-axis characteristics of the microphone. 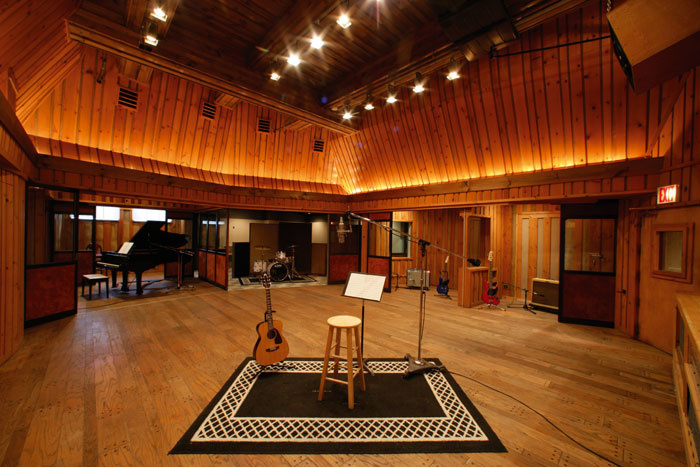 In practice, even well-damped studios reflect some sound. In any case, it would be undesirable to record in a totally 'anechoic' room (one without any reflected sound at all), as everything would sound unnaturally dead. The trick is to record in a room that's adequately damped. Choose an acoustic space that complements the sound, then select a microphone with a fairly accurate off-axis response, to accurately capture the room's character. Or try to arrange things so that your microphone picks up as little reflected sound as possible. These days, just because a mic doesn't cost much doesn't mean that it can't be used to produce decent recordings. Studio capacitors like this Red 5 model are even available at around the £100 mark.Allowing the room to become part of the sound is generally more relevant to choral or orchestral recordings than to pop music production, although recording drums in a live room, in order to use its character, is still popular. Altering the mic-to-source distance allows you to balance the amount of direct and reflected sound you pick up. The second approach is the most common in small studios and usually translates to using a cardioid (unidirectional) microphone fairly close to the subject, with acoustic screens or blankets around the recording area to minimise reflections. The combination of using a cardioid mic and working fairly close improves the ratio of direct-to-reflected sound anyway, but in most project studios that have minimal acoustic treatment, hanging absorbing material behind and to either side of the player or singer often reduces room coloration significantly. Regular readers will have noticed that we often recommend duvets for this, as most homes have them. Where you need a bit of liveness, but not room coloration (such as when recording acoustic guitar), it can help to work on an uncarpeted floor or to place a reflective board over the carpet between the player and the microphone. I know of a number of cases where musicians have spent a lot of money on a big-name capacitor mic and a high-end preamp, but still end up with boxy-sounding results. Often they call us to ask which even more expensive mic would fix their problem, but invariably the room acoustics are the real issue. Hang up enough duvets and you can make a decent vocal recording almost anywhere, with virtually any cardioid capacitor studio microphone. A boxy sound is pretty much always down to a boxy-sounding room. Home-made vocal booths are the worst culprit in this respect, as they usually have inadequate absorption at mid and low frequencies. Studio walls covered in carpet are particularly bad news, as only the high end is absorbed, making the sound boxier than before treatment. As a rule, studio recording is undertaken using capacitor mics, because their moving parts are much lighter (and so lower in inertia) than those of dynamic mics, enabling them to handle high frequencies with greater accuracy. Even so, the strong mid-range of dynamic mics (normally used mainly for close drum miking and guitar amp miking) sometimes suits a particular singer better than a more accurate capacitor mic. In this case, what works is what's right, emphasising that choosing the right mic is once again more an art than a science. In my experience, there are very few bad studio mics on the market and even the sub-£100 'me too' Chinese capacitor mics can produce perfectly good recordings if used carefully. The problem is that most vocal mics sound different to each other due to a number of factors, not least being the way in which the high-end response is modified to give the mic more or less 'presence'. If the boosted frequencies are in the upper-mid range, this can help some singers sound clearer, but those with harsh or aggressive voices may find the same presence peak makes them sound too strident. A higher-frequency presence peak will help add 'airiness' to a voice without making it sound harsh but may not offer enough help to the singer who needs more clarity of diction, and it can enhance sibilance. Then there are the so-called 'warm-sounding' mics, which tend to pump up the low end slightly, often combining this boost with a smoothed-off high end. These mics can sound superb if the singer has a harsh voice, or a thin voice that needs a fatter, less brittle sound, but stick one in front of somebody who already has a soft voice and it might sound as though they're singing through one of the duvets I keep going on about! Mics pick up sound in different ways, dictated by what we call their 'polar' pickup pattern, as mentioned above, and it's important to know the pattern of the mics you have at your disposal or are considering buying. In the rather more likely event that the room sound is nothing special (or even has a character you'd rather conceal), the usual approach is to close-mic with a cardioid-pattern model, to pick up as much of the wanted signal and as little of the room reflections as possible, and to treat the space with sound-absorbing materials (in this case, duvets and soft hangings) to further minimise unwanted reflections.Mics with a cardioid pattern have the advantage of rejecting a high percentage of the sound arriving from behind them, which means that they provide good isolation for the person or instrument being miked up, but they can sound slightly nasal compared to omnidirectional (omni) models, which pick up sound equally from all directions. The imperfect 'off-axis' response of cardioids also tends to colour whatever room reflections they do pick up. On the one hand, omni mics might seem to have a disadvantage, in that they pick up sound from all the way around, but they are much more accurate off-axis than a cardioid mic and they also sound more open and natural. If you use an omni mic and hang a couple of blankets or duvets behind the mic, as well as behind the singer, you can reduce the room coloration to around the same level as it would be if you were using a cardioid mic, and you may also capture a more natural sound. Other than that, the main difference you'll notice is that you don't get the 'proximity effect' when working up-close with an omni that you do with a cardioid model. The proximity effect is a low-frequency boost that occurs when cardioid and figure-of-eight microphones (more on these in a moment) are used very close to the sound source. 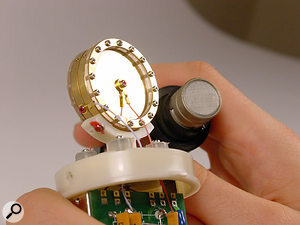 Both these microphone types work by sensing the pressure differential between the front and the rear of the diaphragm, and the proximity effect is built into the physics of how such microphones behave at close quarters. Omnidirectional mics, which sense only pressure (rather like an audio-frequency barometer) don't exhibit this effect at all. The degree of proximity effect varies with how the capsule is built and also tends to be greater for narrower cardioid patterns than for wider cardioid patterns. Dedicated vocal mics often have a built-in low-frequency cut, rolling off gently below 200Hz or so to compensate for the proximity effect. This can limit their usefulness when you're attempting to record bass instruments. Where switchable low-cut filters are fitted, these usually operate at a lower frequency to minimise stand-borne vibration, although they still help counter the proximity effect to a useful degree. Obviously, there are advantages to both omni and cardioid patterns and both are worth having. Fortunately, multi-pattern mics which allow you to switch between patterns are now fairly cost-effective. The figure-of-eight mic pattern is probably the least used one, other than for specialist stereo-miking applications, but it has the unique advantage of being totally deaf to sounds arriving from the sides (90 degrees off-axis), as any sound hitting the mic's diaphragm edge-on creates an equal pressure on both sides, resulting in no movement of the diaphragm. In situations where you need to separate sounds that are in close physical proximity, the figure-of-eight mic can be a useful ally, as you simply point its dead angle towards the sound you wish to exclude. A prime example of this is to help separate the acoustic guitar and vocal where both are recorded together. The exclusion of unwanted sound is never total, because of room reflections, but a figure-of-eight in this situation should be a significant improvement over using a cardioid. Of course, the figure-of-eight mic is just as sensitive at the rear as it is at the front, so it helps to put up some acoustic absorbers behind the mic if room reflections prove to be a problem. 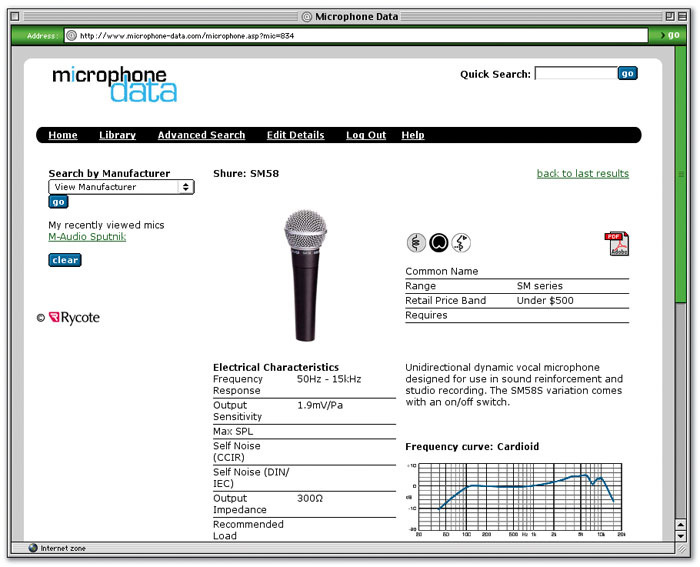 Knowing the frequency response of your vocal mics can help you to decide which singers they may suit: the frequency plot on the Microphone Data web site (www.microphone-data.com) for the classic Shure SM58 dynamic shows an upper-mid boost that can improve clarity for some singers. The other side of the coin is that it could make someone with an already harsh voice sound strident.Tube microphones use a valve as the preamplifier gain device rather than solid-state (usually FET) circuitry, and the vast majority also employ an output transformer. All early capacitor mics used tubes because transistors and FETs were invented rather later, and it turns out that tube microphones have a pleasing tonal characteristic that is a little different to that of most solid-state microphones — which are available both with and without transformers. Conventional wisdom has it that tubes introduce a very subtle distortion that flatters the sound, and they also overload more gracefully than solid-state circuits, although nobody has quite pinned down exactly why tubes sound as good as they do. The recording of sound dates back well over 100 years now, and in that time a number of microphones have survived the test of time to become true classics, as well as becoming instantly recognisable, in many cases. 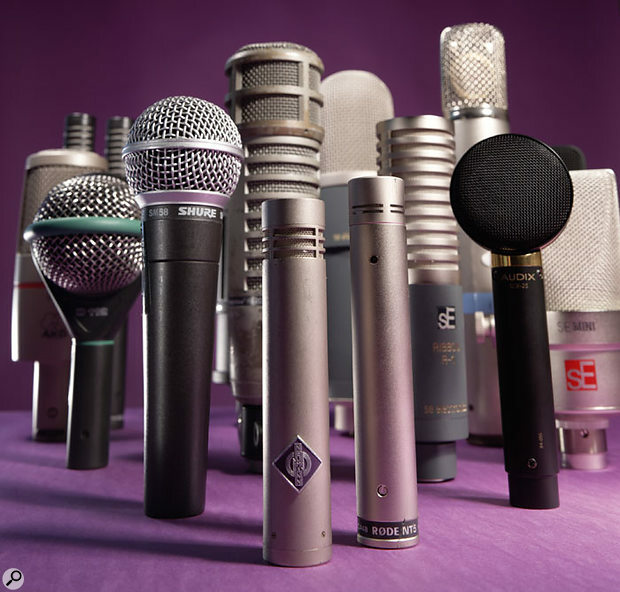 The body styling and general design of some of these microphones has also been plagiarised in many modern 'clones,' although looking similar isn't the same as sounding similar! AKG's classic C12 valve mic.One of the earliest 'classics' — seen in many pictures taken during Hitler's wartime speeches — is the Neumann CMV3 'Bottle' mic, which dates back to 1928. 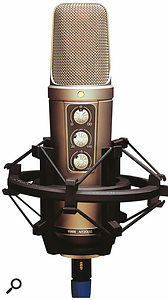 Other instantly recognisable microphone shapes produced by the same company are those of the switchable-pattern U47 (introduced in 1949 and marketed in America under the Telefunken moniker) and the M50 omnidirectional mic. However, the very best known Neumann 'classic' microphone is undoubtedly the U87 — the one mic that everyone associates with professional recording studios, and which appeared in 1967 (seven years after its predecessor, the U67). It's not just large mics that are instantly recognisable, though. The highly regarded KM84, introduced in 1966, was one of the first microphones to employ a solid-state impedance converter. This, along with its bespoke small-diaphragm capsule, made it a very compact microphone which was probably the most versatile of its day. The Austrian microphone manufacturer AKG has a fair few classics of its own. 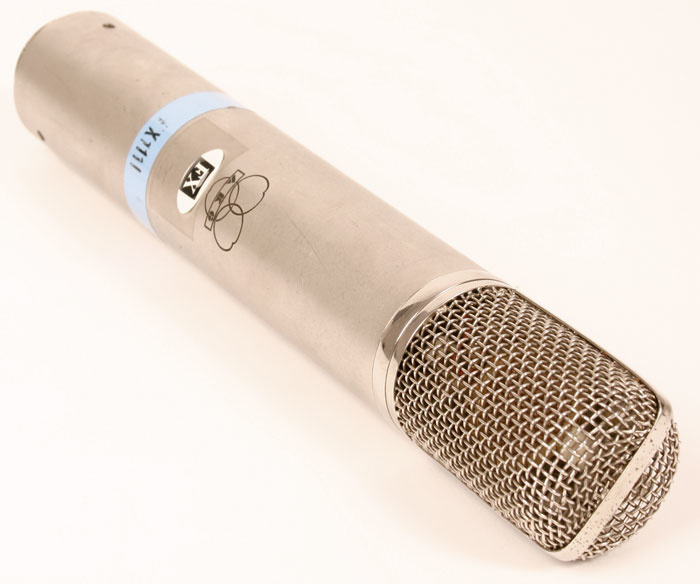 The C12, launched in 1953, was a hugely capable and popular microphone in professional circles. 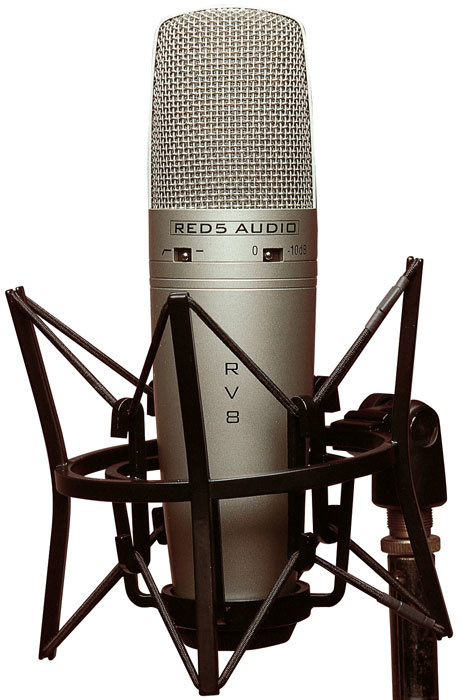 The same basic model was also produced under the guise of the Telefunken ELA M251, and its simpler 250 version, which was intended to compete directly with the Neumann U47. Everyone knows the unique profile of the C414, which was designed as a solid-state replacement for the C12. 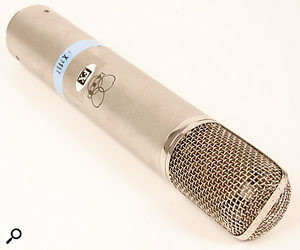 The first version of this mic was launched in 1971, with the improved C414 EB version appearing in 1977, followed by the B-ULS version in 1986 and the TL-II in 1993. A total ground-up redesign of the C414 occurred in 2004 with the introduction of the very sophisticated B-XLS and XLII versions. Another classic AKG capacitor microphone, which competed against the Neumann KM84, was the modular CMS range, best known for the C451 model launched in 1968. This was an enormously flexible miking system, with facilities to separate a range of different capsules from the associated mic body via knuckle-joints and tubes of various kinds. The system was not without its problems, however, and it was eventually superseded by the C460 series in 1983. This Electrovoice RE20 has done quite a few miles but is still going strong.Amongst the classic dynamic microphones, AKG's D202 (introduced in 1966) has to be one of the most distinctive, along with its later and smaller sibling the D222 (1968). Another instantly recognisable mic is the D12 (dating back to 1952), which was the first large-diaphragm dynamic microphone to provide a true cardioid polar pattern and introduced innovations such as the mass-loaded tube and a deep-drawn diaphragm. This became widely used as a kick drum microphone until the D112 — another uniquely shaped microphone — took over that role. While we're on the subject of dynamic microphones, the German manufacturer Sennheiser has had its own share of classics. The MD421 was introduced in 1960 and is still going strong, while the equally distinctive MD441 was launched in 1971. Sennheiser took a completely different approach to other manufacturers when it came to solid-state impedance converters for capacitor microphones. Eschewing the high-impedance FET as a valve replacement, Sennheiser instead developed the 'radio frequency condenser mic' system which allowed them to use bipolar transistors, with several significant operational and technical advantages. The MKH range of mics is unique in its use of the RF system, and the flattened sides of the slim microphone bodies are instantly recognisable. Moving across the Atlantic, there are just as many instantly recognisable classic American microphones. Everyone will surely be able to identify the Shure SM58 dynamic and its sibling, the slightly smaller SM57. Similarly, the Electrovoice RE20 (left) is about as distinctive as dynamic mics come, with its huge body and wide side-slots. Capacitor microphones require power, both to operate their preamplifier and (in the case of conventional capacitor mics, as opposed to electrets) to polarise the capsule. While this could be provided from a separate power supply, the standard system of powering is known as phantom powering, where the power is supplied by the mixing console or preamplifier to which the mic is connected. Phantom power involves sending 48 Volts along a standard mic cable from the console/preamp mic-input socket, and it can only be used with balanced microphones connected via balanced cables. As a rule, if the mic body is fitted with a three-pin XLR socket, it is balanced, but always check the data sheet that came with the mic to be sure. Of course, all capacitor mics that need phantom power to operate will be balanced. Some portable equipment provides a lower phantom-powering voltage but many mics require the full 48 Volts to work properly, so check your mic spec sheets in such cases, to see what range of voltage is acceptable. Use of unbalanced cables with phantom power may cause damage to dynamic mics, as could plugging or unplugging them with the phantom power turned on. A mic with switchable patterns, such as this Rode NT2000, adds a lot to your miking options and need not break the bank.It's good practice to switch off the phantom power when plugging or unplugging mics, to avoid pops and bangs over your monitors and also to avoid stressing the electrical components in the mixer preamp and the microphone. It's very rare for any damage to be caused by 'hot plugging', but better safe than sorry. Some people perceive electret microphones as the poor relations of true capacitor mics, but with well-designed back-electret models this really isn't the case. After all, some of the best measurement test mics around are back-electrets. The highly respected B&K DPA4006 and 4011 mics are back-electret designs, as are the AKG C3000 and C4000 and the Audio-Technica 4033. 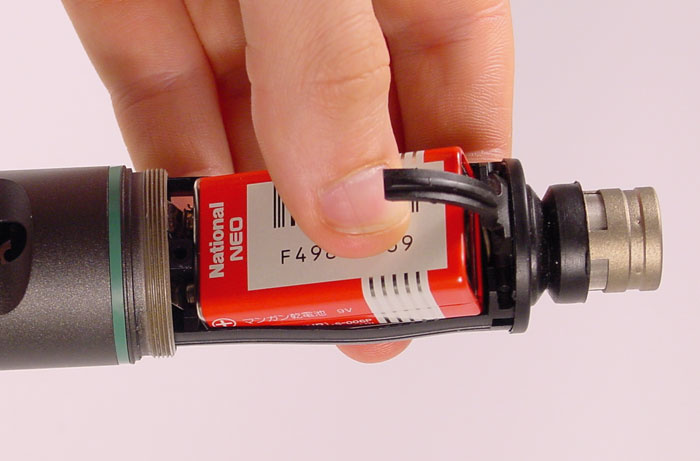 The key point about back-electret mics is that the diaphragm (the all-important moving part) can be made in the same way as for a conventional capacitor mic, so the performance is similar. The special electret material that holds a permanent electrostatic charge is fixed to the non-moving back-plate (hence back-electret), the advantage being that there's no need for a high polarising voltage as there is with conventional capacitor mics. Some power is still needed for the on-board preamp and impedance converter, though. The back-electret mics to avoid are the ones that use only batteries (the ones that can work on either batteries of phantom power are usually OK), as most of these are less sensitive and have a lower maximum sound pressure level (SPL) handling capability than models that use 48V phantom power. These battery models are great for location work where 48V powering is unavailable, but there's no real point in buying one for studio use. Also avoid consumer electret mics, as these are generally not back-electrets and their performance tends to be poor, in terms of sensitivity and maximum SPL handling. A shockmount is another essential accessory if you're using a studio capacitor.We've written on the subject of pop shields so often that little more needs to be said, other than that using one when recording vocals is mandatory for most singers. The metal-mesh models are arguably more transparent to high frequencies than the nylon-mesh models, but both do the job. Less tends to be written about shockmounts, and it's easy to assume that you don't need one unless you're setting up on a wooden stage, but the reality is that singers have been known to tap their feet or even kick the mic stand, and the amount of thump this produces is considerably more without a shockmount than with one. Now that shockmounts come with so many studio mics as standard (or are available separately for as little as £15), it just makes sense to use one as a matter of course. It's also important to route the cable in such a way that it can't transmit vibration to the mic, or it could cancel out some of the benefits of using a shockmount. Wrapping the cable around the stand a couple of times helps, as does leaving a small loop of loose cable behind or beneath the mic. Fastening the cable to the stand with a plastic clip (often supplied with stands) will help prevent your cable slipping. The most common general-purpose mic stand has three legs and a boom arm. Always position one of the legs under the boom arm for maximum stability, and where you need height — such as for drum overheads — use a stand with a metal rather than a plastic base, as the extra weight adds to stability. To screw or unscrew a shockmount, it is easiest to loosen the boom-arm adjustment screw, then rotate the boom arm rather than the shockmount itself. While budget stands are usually fine with smaller microphones, it's worth spending a little more on a heavy-duty stand destined to hold a heavy vocal mic, as the boom-arm friction mechanism often slips on cheaper stands, causing the mic to droop. These diagrams show how cardioid (top), omnidirectional (middle) and figure-of-eight patterns pick up sound: the cardioid picks up best from directly in front, rejecting sound directly from the rear; the omni picks up sound equally all around; and the figure-of-eight picks up from in front and behind but is insensitive to sound arriving at either side.Have you ever wondered what the difference between small-diaphragm and large-diaphragm mics is? Well, large-diaphragm models are a little quieter and are often engineered to flatter the sound being recorded, while small-diaphragm capsules have a better off-axis response and tend to be more faithful to the original sound. Large-diaphragm models are also mainly side-address, which means that you sing into the side, not the end, and that works well in a vocal-recording situation. Not surprisingly, then, large-diaphragm models are the most popular choice for studio vocals, whereas small diaphragm, end-fire mics are firm favourites for instrument recording, especially where an accurate sound is what's needed. Nevertheless, both types can be used in both situations with a high degree of success, and if you only have one mic that happens to be a large-diaphragm model, the chances are that it will also sound fine for recording your acoustic guitar, for example. Similarly, a small-diaphragm model can sound great on vocals, although it probably won't sound as 'hyped' or flattering as a large-diaphragm model. You may also find that the large-diaphragm model has a built-in low-frequency roll-off to counter the proximity effect when close-miking vocals, whereas small-diaphragm instrument mics often feature a more extended bass response. If you're going to close-mic vocals with one of these, you may need the low-cut switch on your desk or preamp, as well as a pop shield. A common setup for miking a drum kit comprises a pair of small-diaphragm stereo capacitor mics for the overheads (usually cardioid pattern, unless the room is large and flattering), with dynamic microphones for close-miking the individual drums. A further capacitor mic may also be used on the hi-hat. The use of capacitor mics for the overheads and hi-hat is to ensure adequate HF response for capturing the fine detail of the cymbals, while dynamic microphones are traditionally used for the close mics because they are technically adequate, robust, produce a punchy sound and are affordable. For toms and snares, a general-purpose instrument mic such as the SM57 is a popular choice, but now that capacitor and back-electret mics are becoming more affordable, these are starting to turn up as alternatives to dynamic models for close miking. Back-electrets that can run from batteries as an alternative to phantom power are useful on location as well as in the studio.While the audio characteristics of a typical drum mic don't need to be out of the ordinary (other than the kick-drum mic, which I'll come to in a moment), it helps from a practical point of view if they are small and light, as this makes them easier to position out of the drummer's way, and may make it possible to mount them using rim clips rather than boom stands. 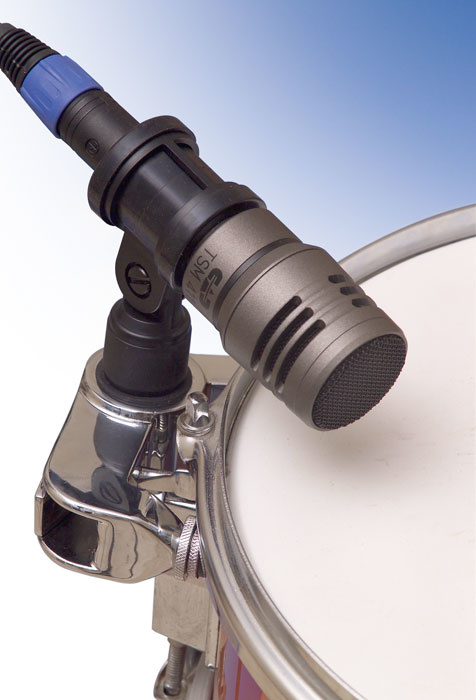 A number of drum-mic kits have been designed with small-body microphones to meet these needs. 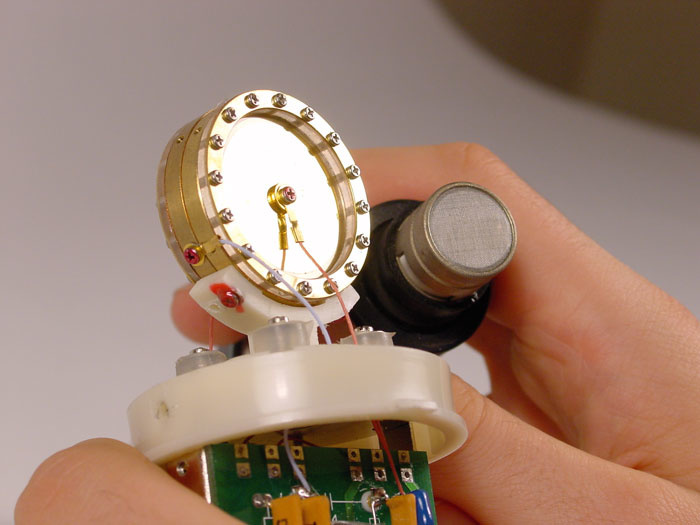 If miniature back-electret capsules are used, the mics can be made very small indeed. The kick-drum mic has to be able to tolerate very high SPLs and it must also have a good low-end frequency response, as most of the energy produced by a kick drum is below 150Hz, with a significant amount at around 60-90Hz. Furthermore, as miking a kick drum closely doesn't produce a very natural sound, mic designers tend to tailor the frequency response of kick mics so that they accentuate the low-frequency thump of the drum and also the beater impact in the 3-6kHz region. As the low-mid range can sound boxy if you use a 'flat' mic inside a kick drum, frequencies in the 150Hz-500Hz region tend to be pulled back in the case of dedicated kick models, and the result is a mic with two distinct peaks in its frequency response. Used on any instruments other than possibly bass guitar, this would sound odd, but on a kick drum it helps produce a sound with both depth and definition. Drums are loud! Because of that fact, drum mics don't need to be particularly sensitive or have spectacular noise figures, as they're never going to be short of level and you won't need to turn up the gain much on your preamps. This fact has enabled manufacturers to build complete kits of drum mics at very attractive prices, and though the mics they contain may seem a bit 'coloured-sounding' or noisy when used on other instruments or voices, they tend to work pretty well around a well-tuned drum kit. Vocals: Large-diaphragm capacitor mics are the most common choice if a cardioid pattern is used to exclude unwanted room coloration. However, there's no reason not to try a small-diaphragm model if you have one, as a small diaphragm doesn't equate to a small sound. Similarly, try an omni model if you have a very dead or acoustically flattering recording environment. In all cases use a pop shield. As an alternative, dynamic microphones are often used by male rock singers because their 'voicing' emphasises presence and helps the vocal cut through a loud backing track. 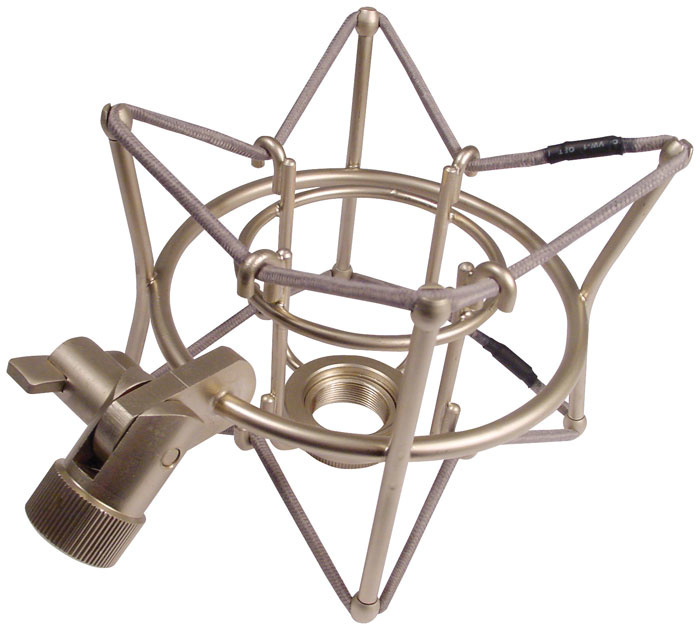 Where cardioid mics are used close-up, a low-cut filter in the mic or the preamp is an advantage. Acoustic Guitars: Small-diaphragm capacitor mics are the usual first choice in this application, and cardioid models are useful in reducing unwanted room coloration. However, where the room permits, an omni-pattern microphone will usually give a more natural sound and will be less critical of positioning. Large-diaphragm capacitor mics can also give excellent results, and for some musical styles, where a natural high end isn't necessary, dynamic or ribbon microphones may be used as an alternative, providing they are used with a quiet preamplifer that will give the necessary gain without adding significant noise. Drum Overheads: Small-diaphragm capacitor mics are popular as drum overheads, although some engineers prefer ribbon mics because of their smoother high end, which makes the cymbals sound less abrasive. Because of the loud volumes around a drum kit, high sensitivity is not required. Close-miked Drums: Dynamic, cardioid-pattern models are the usual choice for close-miking individual drums, although back-electret and capacitor models are also used. Most mics can handle the required SPL. The physical shape and size of the mics is important for positioning them so as not to obstruct the player. Kick-drum Mics: Kick-drum mics are often dynamic models or dynamics used in conjunction with a second capacitor mic. The SPL inside a kick drum is considerable, so a microphone with high SPL handling capability is essential, and the mic must also have a good low-end response, which rules out most vocal mics, as these tend to have a built-in roll-off at the low end. The best bet is a dedicated kick mic, which will have a specially designed frequency response to emphasise the desirable aspects of the sound. Electric Guitar & Bass: Both electric guitar and bass can be recorded with just about any type of mic that sounds good, the main proviso for bass being that the mic has good low-frequency extension. All but the most sensitive mics can tolerate the high SPL in front of a guitar cabinet, and dynamic models are a popular choice for European rock music. Other styles, including US rock, tend to make more use of capacitor models for their brighter high end. Ribbon mics used on their own or in conjunction with other mics can also sound particularly good. Often, positioning the mic is more important than the actual choice of microphone. Brass: If you like the sound of a brass instrument miked very close to the bell, you'll need a mic with a healthy SPL-handling capacity (135dB or better), as these instruments generate enormous sound pressures close up. If you mic a little further away, for a more natural sound, most mics will tolerate the level. 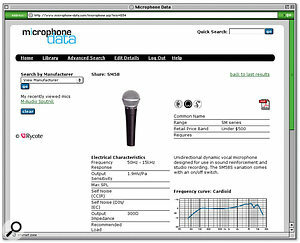 Both large-diaphragm capacitor mics and good-quality dynamic mics are popular in this application. While cardioid-pattern mics are most commonly used, you can also try an omni, as there's so much level that you're unlikely to suffer much from spill! Percussion: I'd always try small-diaphragm capacitor mics first in this application, athough large-diaphragm vocal models can also give very good results. Dynamic mics may be suited to hand drums, but where there's any significant high-end content, capacitor mics will generally give the best results. The closer a microphone is to the subject, the better the ratio of direct sound to reflected sound, so in the studio, where spill and reflections are the enemy, the best option is usually to get the mic as close to the performer as possible without compromising the sound. With vocals this can be very close indeed, although it's not a good idea to get much closer than three inches from a cardioid mic, as the proximity boost will kick in and make the sound bass-heavy. You also need to leave a couple of inches for the pop shield. Aside from the fact that large-diaphragm mics have a diaphragm that's, er, larger, there are differences between them and their small-diaphragm cousins.You may also have seen pictures of vocal mics used upside down. Most side-entry mics work just as well upside down as they do the 'right' way up, and it can be more convenient to mount them upside down to keep the stand further away from the singer's arms or feet, and also to allow sight of a music stand. There is an argument that using tube mics the right way up is beneficial, because the heat from the tube rises to warm the capsule, which helps avoid condensation problems. Virtually all capacitor microphones suffer a temporary deterioration in performance in the presence of condensation (more noise, less sensitivity) and in such cases they need to be put somewhere warm until they are thoroughly dried out. In the case of instruments, the task is a little more complicated because most instruments produce sound from most of their surface, not from a single point. That means that if you get too close the mic favours the part of the sound that's closest to it. In addition, if the instrument moves at all the level change will be more noticeable the closer the mic is. My own rule of thumb is to make the initial mic distance about the same as the length of the part of the instrument that emits the majority of the sound. The exception is the pop/rock drum kit, where the close-miked quality has become part of the accepted sound, although the rule still applies for positioning drum overheads. In the case of the acoustic guitar, the mic distance should be around the same as the length of the guitar body, while with a flute you'd use the entire length of the instrument as a guide distance. By applying this very rough-and-ready rule, you can see that to mic a concert grand piano accurately you need to have the mic (more often two mics for stereo) several feet away, although for pop music you can work closer, to the point where the mics are often set up above the strings, inside the piano lid. The sound is less accurate but it's musically appealing, which may be more important. In all cases, you can fine-tune the mic position while monitoring the result over headphones, as every combination of instrument, room and mic will sound different. If you can afford more room sound and spill isn't a problem, you can increase the mic distance, which usually gives a more homogenous sound. Drum miking is made easier by the existence of kits of mics specifically intended for the job: this dynamic mic, part of a CAD set, is meant for snare and tom miking and has special heavy-duty mounting hardware and a small body.What I've tried to do here is provide a practical crash-course in the essentials of choosing and using microphones, without burdening you with more technical information than you need. I hope I've also conveyed that with anything from a good budget microphone upwards you can make exceptionally good-sounding recordings, providing you choose a suitable microphone position and pay due attention to the room acoustics. Yes, a better mic will sound better, as will a high-performance preamp, but unless you get the room acoustics and mic position sorted out first, the difference between a cheap mic and an expensive one will be much less than you'd imagine. Too often we think better kit will produce better results when what we already own is actually making a pretty accurate recording of a dismal-sounding room. In this respect, microphones are not unlike photography: what's in front of the camera and how well it is lit has a far greater effect on how the picture looks than the quality of the camera, and it's only once you know the basics that having top-quality hardware makes sense. Having put that argument, it doesn't always pay to buy the cheapest mic either, because when you do learn how to use it you'll probably want to upgrade to a better model if you've spent your money on something really basic. Unlike software or other bits of studio gear, mics don't go out of fashion or become obsolete — they'll give good service for decades if you look after them. This being the case, the cost of ownership is fairly low when worked out on a monthly basis, so if you can afford something a little above the entry-level, it will stand you in good stead in the future. Thanks to FX Rentals (+44 (0)20 8746 2121) for the loan of selected microphones. FX hire rates range from around £10 per day for basic models to £50 per day for valve classics such as the AKG C12.